Thank you for looking at my profile. 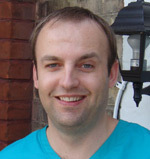 I have been treating the patient community of Nelson Road Dental for over 5 years now. I am a firm believer in providing modern day NHS and private dental care. I truly believe in prevention and promote methods in helping keep your teeth for life. Outside dentistry, I love travelling and zooming around my motorbike! I look forward to welcoming you and taking care of all your general dental needs.